Bulk Listing Software to ensure you can sell across multiple marketplaces with ease. Increasing your online footfall has never been easier, the global marketplaces give you access to millions of customers at home and abroad. Extend your sales by increasing the number of marketplaces you sell on with multi-channel listing software . Among others, our automatic bulk listing software makes it easy to bulk list on Amazon, eBay, Flubit and Fnac. With local markets in multiple countries for Amazon, eBay and Fnac, the opportunity to increase your cross border sales is significant. Call us on 01786 430076 and we can discuss things further. By bulk uploading your stock to Seller Dynamics we'll quickly pass it on to the marketplaces you want and do all the management, repricing and processing tasks that you need. That gives you access to millions of customers instantly. 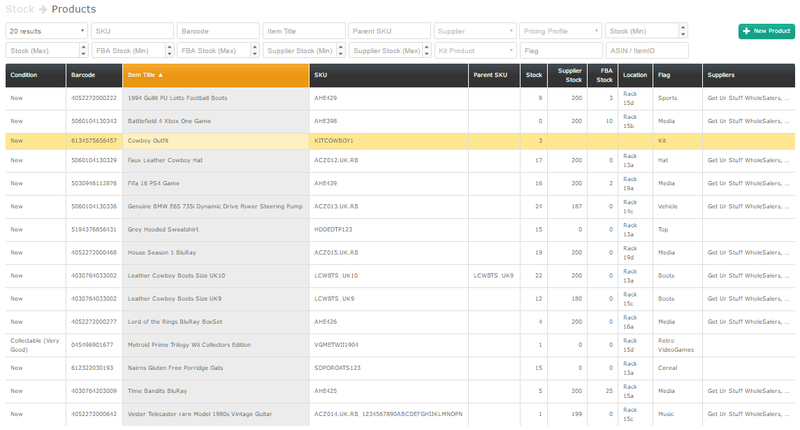 Upload your CSV files or import data automatically using automated supplier feeds. Our multichannel listing software gives you the product listing options you need to grow your sales painlessly. Our stock listing software makes it as simple as possible to make manual adjustments to stock when required. On just one screen you an review your listings and edit Price, Quantity and Titles. Allowing you to stay on top of your stock. Reduce the time spent managing multiple sales channels. We want you to sell more to help your profits grow. And to ensure that happens easily we have designed the simplest of ways to upload 100’s of thousands of SKUs onto all your favourite marketplaces. You'll find that uploading stock and adjusting listing detail is fast and simple. Our easy to follow CSV template allows you to create the file you need to get your sales really moving. Just select the completed file and upload it to Seller Dynamics. Why not call us today on 01786 430076 and we'll explain it all in as much detail as you need. We’ll then get busy safely storing all your stock and SKU information so that we can then push it onto the markets you want, that’s Amazon, eBay, Fnac, Flubit, even your own WooCommerce, BigCommerce, Magento or Shopify web site.